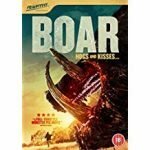 4 stars of snarling and snorting Aussie giant pig action. Boar is written and directed by Chris Sun (Charlie’s Farm, Daddy’s Little Girl) and is presented here as part of Signature Entertainment‘s Frightfest Presents collection. A Shakespearean Tragedy on Two Wheels. 3 stars of bizarre but enjoyable Swedish Giallo film. 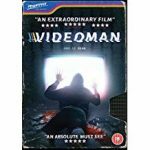 Videoman is released as part of the Frightfest presents collection from Signature Entertainment. It is written and directed by Kristian A. Söderström and is his feature directorial debut. It is presented here in Swedish with English subtitles. Highly atmospheric found-footage style horror / mystery. 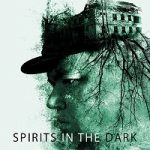 Spirits In The Dark is the latest production from Hungarian filmmaker / director / star József Gallai (Bodom, Moth, A Guidebook To Killing Your Ex). 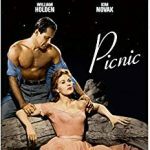 5 stars for this stunning remake of a classic American story. 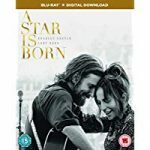 A Star Is Born is the astonishing directorial debut by Bradley Cooper (Silver Linings Playbook, American Hustle), who also co-writes alongside Will Fetters (Remember Me) and Eric Roth (Forrest Gump) as well as starring in the lead role.